Your car will smell fresh and look cool with this video game air freshener from Just Funky! 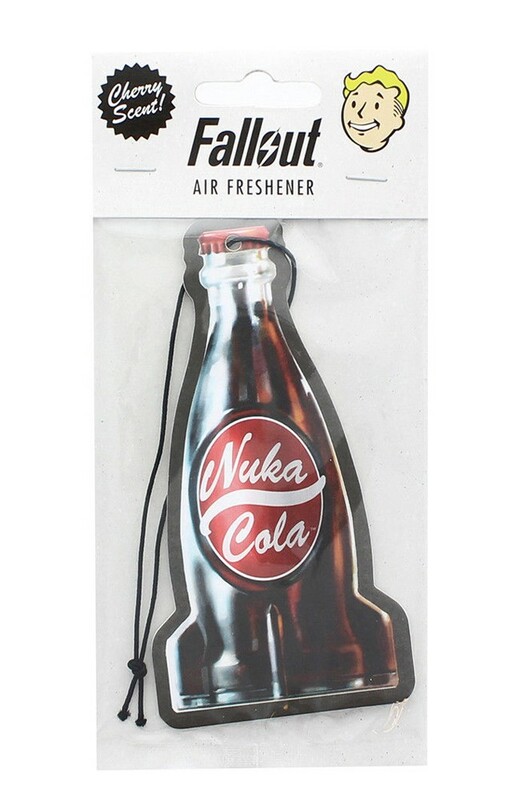 This air freshener depicts a bottle of Nuka Cola from the post-apocalyptic series Fallout! Features a sweet Cherry scent! Comes with string for hanging. Officially licensed. Your car will smell fresh and look cool with this video game air freshener from Just Funky! This air freshener depicts a bootleg of Nuka Cola from the post-apocalyptic series Fallout! Comes with string for hanging.